When dessert is clean enough for breakfast but I still feel indulgent eating it, that’s when I know I’ve hit the jackpot. 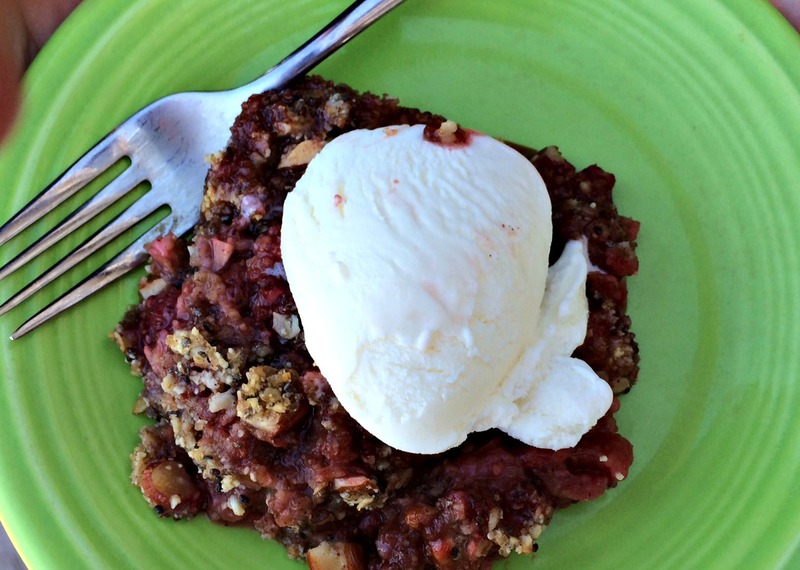 I adore strawberry, rhubarb crumble and love this version. I know! I left the leftover crumble in Washington with my father-in-law but my brain was totally craving it the next morning back in Portland. Oh Well, I will just have to recreate it. I am thinking about a peach and Oregon marionberry one this time. This is both very good and very good for you! Thanks for the info!! It is super yummy and definitely has all kinds of healthy ingredients. It may sound odd, but I haven’t tried rhubard in my entire life and so many amazing recipes I have seen with rhubard and this is one of them. Are they sweet? This crumble looks so perfect and with so much amazing ingredients! I know! I was the same way. 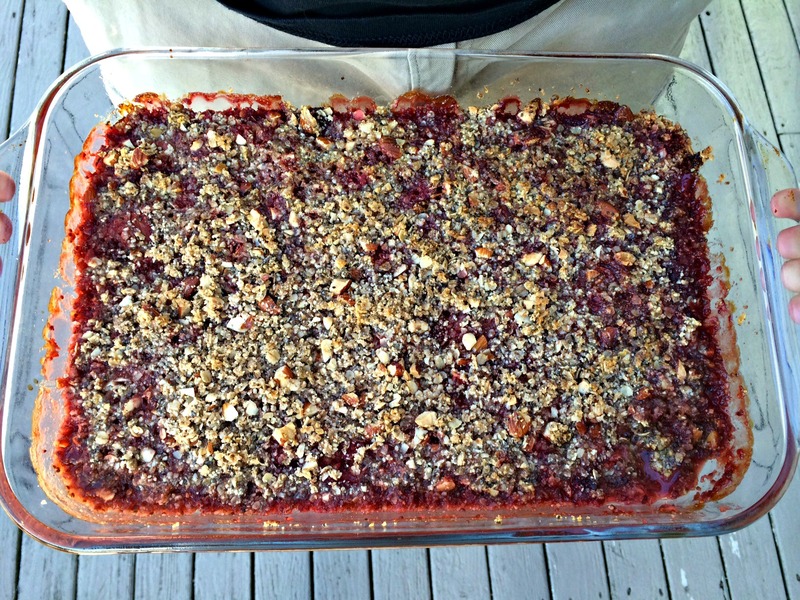 I had only had it once before in a kind of strawberry rhubarb bar a friend had made. It was super yummy too! I think on its own, rhubarb is maybe a little bitter so it is usually paired with something sweet. All I know is it was very tasty in this crumble! I absolutely love this! I love all the ingredients! My type of dessert! Bookmarking! Lots of yummy things in here! 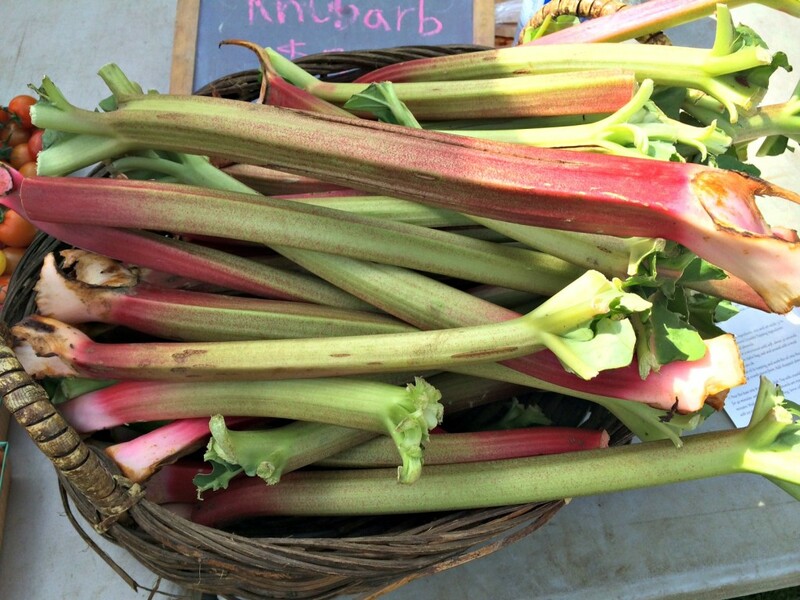 This is lovely – rhubarb is so amazing and versatile (I’ve tried it in a couple of savoury recipes too) and I always think it’s best in a fruit crumble…..thanks for sharing! I love the strawberry rhubarb combination. As a child my sisters and I would dare each other to eat it raw. It makes me pucker thinking about it! Love it love it love it because it is GF! 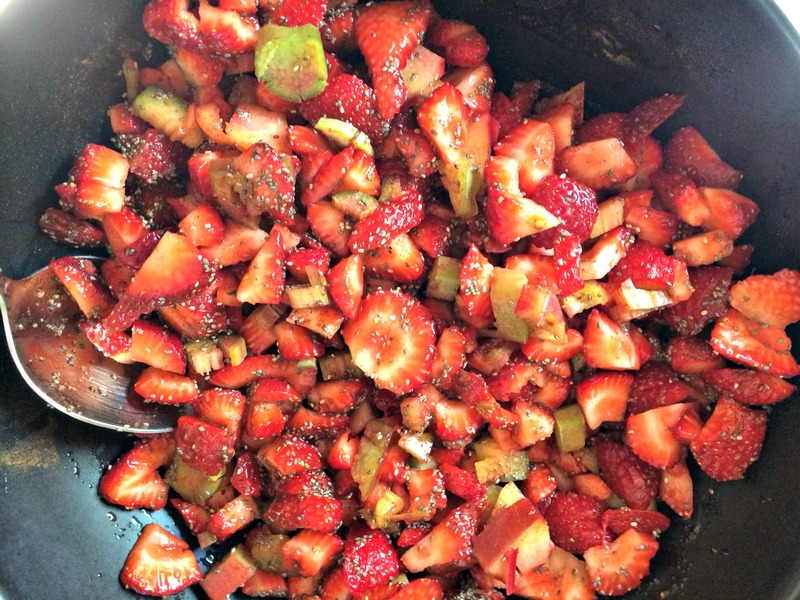 Sounds so delicious – strawberries & rhubarb are always a good combination. Love you picture. Thanks for sharing on Real Food Fridays Blog hop. Will pin. This looks great, and you’ve gone so much lighter on the crumble too. We usually use walnut or almond for the crumble topping, with some oats and honey (to avoid sugar), but your method of just having less is also good Thanks for bringing this to Fiesta Friday. Oh, honey! What a great idea for a sweetener! I am planning to make this for a bar-b-que on Friday so I might have to try some honey! This looks and sounds fabulous and oh so healthy – I love the idea of it for breakfast, perhaps with a spoonful of gorgeous Greek yoghurt. Thank you so much for bringing this to Fiesta Friday – it has gone down a treat! Have a wonderful week! Love rhubarb and strawberries! Will have to give this a try. Thanks so much for sharing this over at Healthy Vegan Fridays – I’ve pinned this to our Pinterest Board.